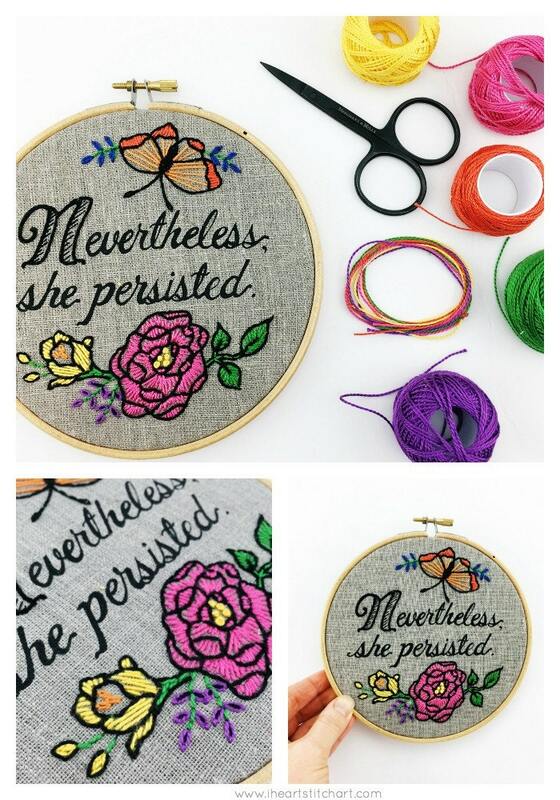 Embroidery kit: Nevertheless, she persisted. 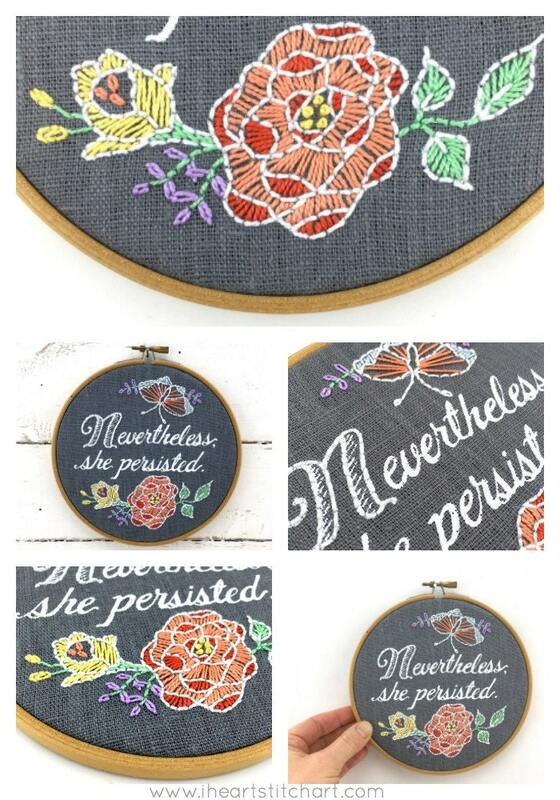 This pattern celebrates the strength of determined women, throughout the ages and around the world. From Laura Ingalls Wilder to Marie Curie, Jane Austen to Jane Goodall; from the young mamas to the great grandmothers, to the very littlest girl. Women and girls face challenges large and small every day - and stand up to them, with pluck and determination, hard work and grace - and always with persistence. And that is worth celebrating. This is gorgeous! It arrived quickly and was exquisitely wrapped. 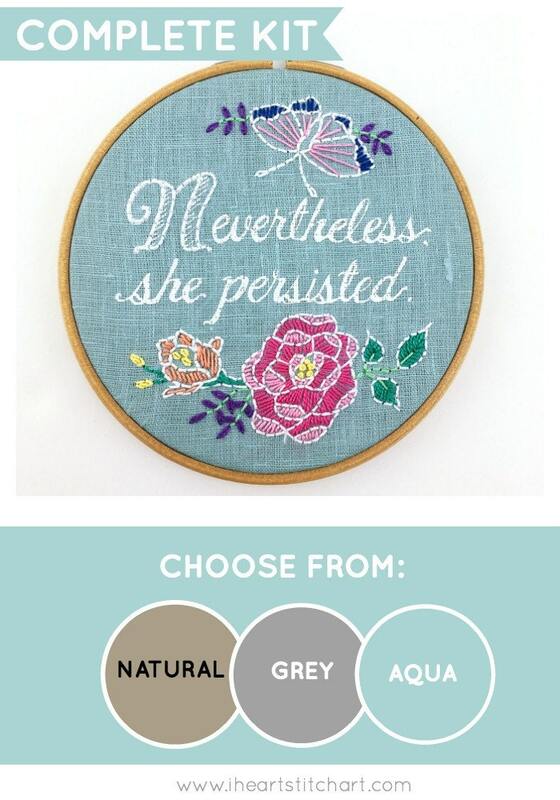 The kit has everything you could need to create this beauty. I love the colours! LOVE THIS! Perfect, great instructions, and so beautiful! 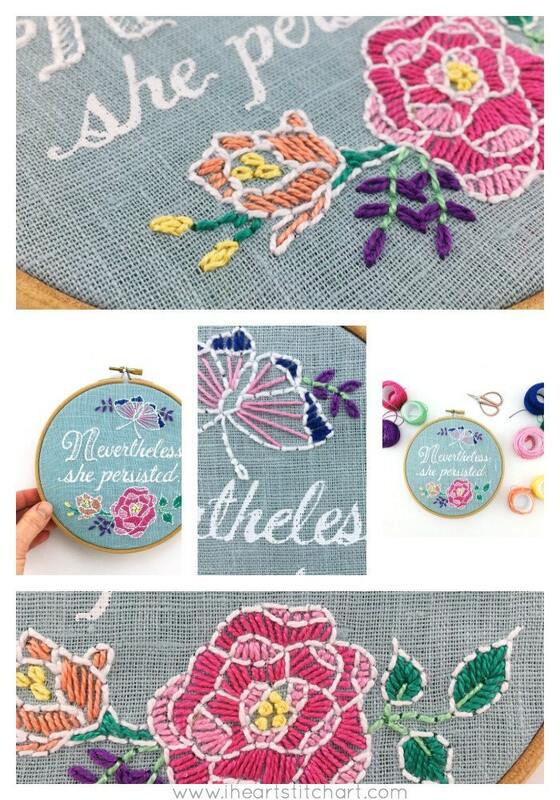 Love the kit and practice sampler with stitch instructions -- and thank you for the bonus pattern! Can't wait to finish this!